Rux Martin/Houghton Mifflin Harcourt, 9780544702493, 336pp. 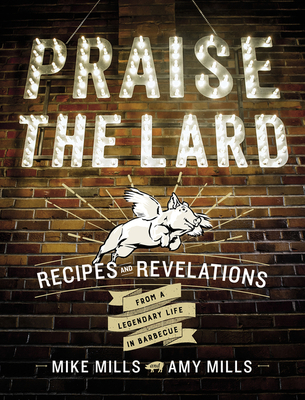 MIKE MILLS and AMY MILLS are the authors of Peace, Love, and Barbecue. Mike owns three 17th Street BBQ's in Murphysboro, Illinois, and two Memphis Champion Barbecue’s in Las Vegas He is a partner in Danny Meyer’s Blue Smoke. Amy’s OnCue Consulting, the only business seminar of its kind in the world, has incubated barbecue operations across the globe. Mike lives in Murphysboro, Illinois and Amy divides her time between Murphysboro, Illinois and Boston.